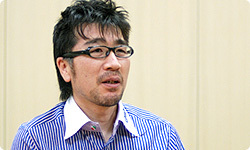 Hiroshi Sato is a Japanese video game developer and producer employed by Nintendo. Sato currently works as the head of Nintendo SPD No. 4 alongside Toshiharu Izuno, a division of Nintendo focused on assisting and overseeing co-productions with outside developers, including the Mario Party series with Hudson Soft (1998 - 2007) and Nd Cube (2012 - present), the Mario & Luigi series with AlphaDream, the Mario Tennis and Mario Golf series with Camelot, and most Mario sports-themed games with Sega, Bandai Namco Games and Square Enix. With the Nintendo EPD structure, his current role at Nintendo is unknown. This page was last edited on January 8, 2019, at 08:55.